Traveler For Good: Haiti, Randomly? Prior to this past week, the last time I consciously thought about the country of Haiti was after the earthquake in January. A few weeks ago I read the book Remember to Forget by Deborah Raney. I had never heard of this author, but more or less randomly selected it off the library shelves. It was a good read and so I went online to request other books that she's written, not knowing what those books might be about. This past week I read one of those requested books Over the Waters. It just happened to be about mission work in Haiti. Last week I also got an email from one of the pastors at church letting me know about a luncheon with a guest of our church who has helped to establish a non-profit in Haiti. And wouldn't I want to know about a possible Wellshire trip in 2011? The guest speaker today was Kent Annan, co-founder of Haiti Partners. 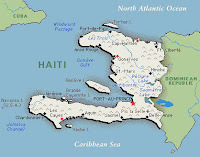 There is room for a small group (think 8) to go to Haiti in January to see the work of Haiti Partners. 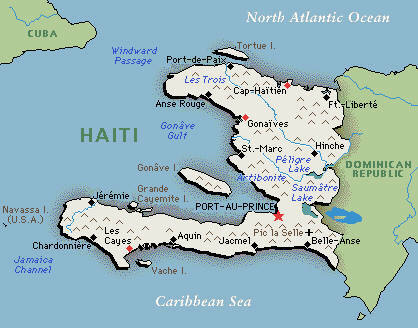 With unemployment so high, over 70%, the trip isn't to provide labor...there are plenty of Haitians to do that. It's more about building relationships and learning about a culture different than your own. It seems a little more than coincidence. But then again, our pastor for mission said this at today's meeting, "I don't ever pressure people...but watch out, I DO pray."